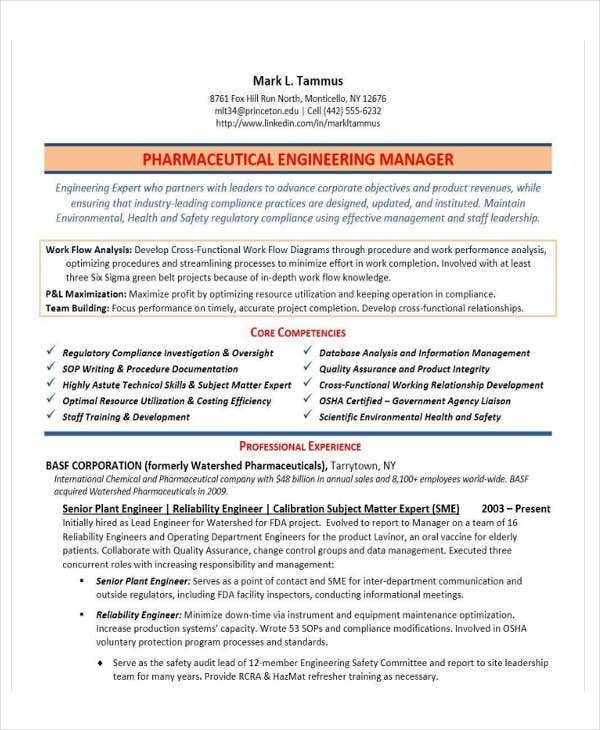 In applying for certain roles, specifically for engineering roles, we use or create engineering related resumes wherein you can place different work experiences in the engineering field to present to the hiring company or reader. 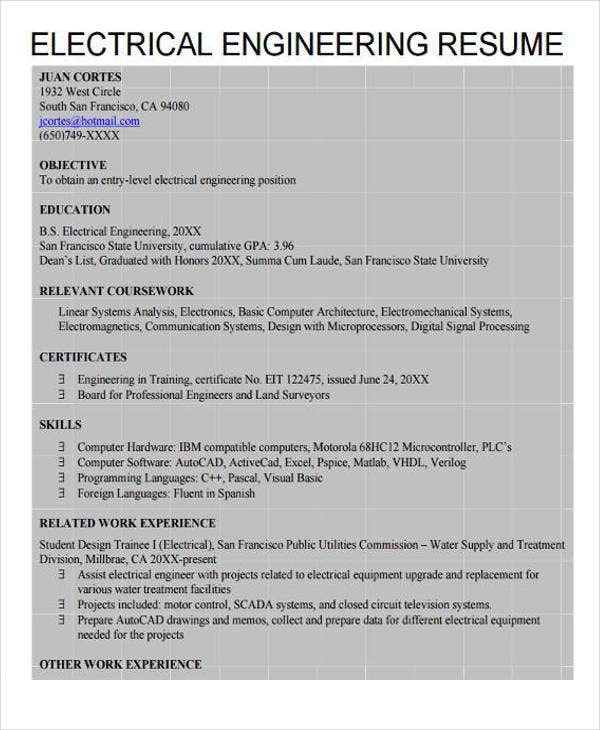 Companies will also be authorizing individuals to work in higher positions if they can also present the correct credentials. 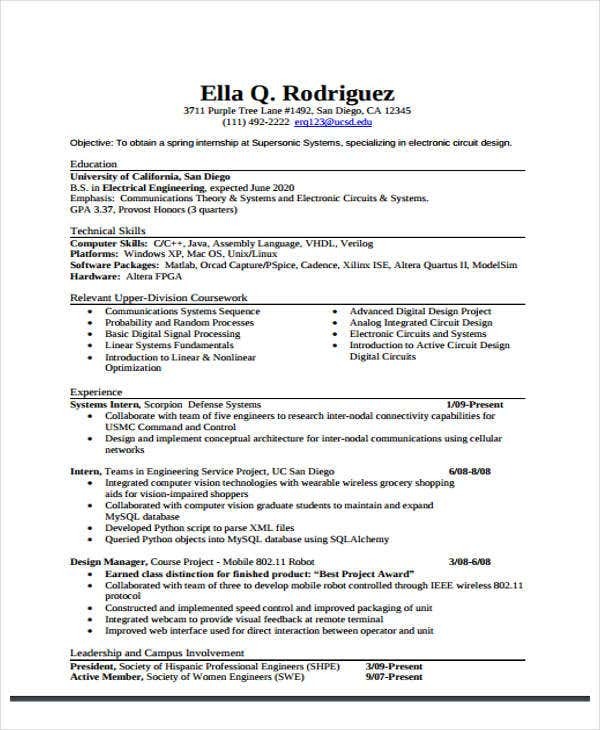 One overlooked piece of information that needs to be placed in resumes are usually resume summary statements wherein the individual creates a short summary of all the information written on the resume. 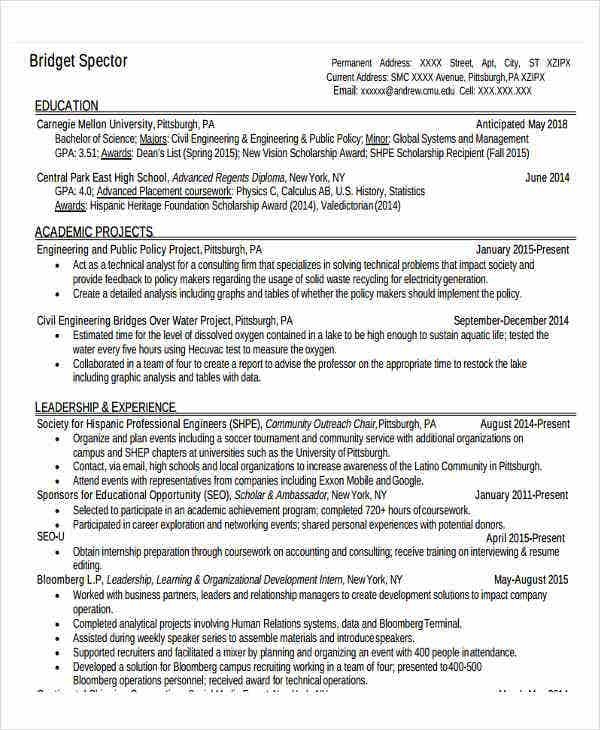 For individuals who also would like to display their portfolios as part of their resume can do so in which, non-traditional resumes are also being used these days to include pictures or other kinds of art or creation to display as portfolios. Placing contact details under your name – You should place your contact details like your phone and mobile number, email address, and address under your name for easier reference for the company to contact you. 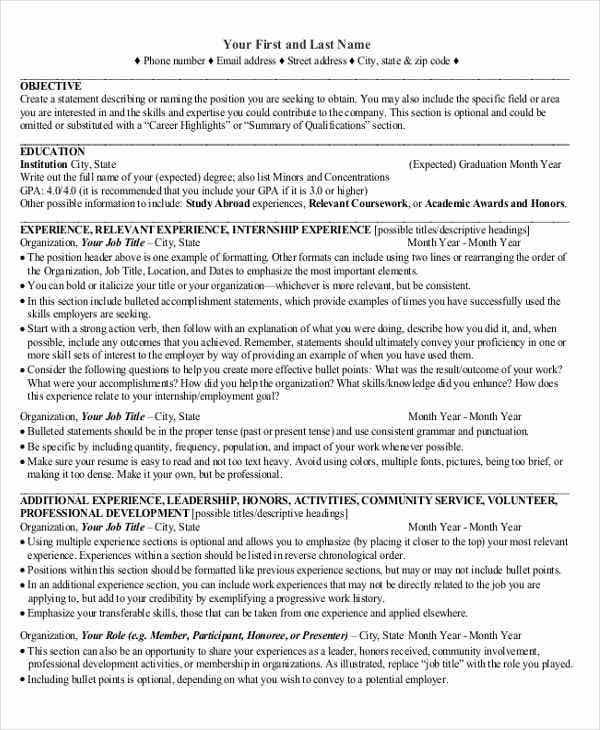 Writing objectives – You should place objectives in your resume examples for the hiring company or the reader to know your goals and targets you have in mind. 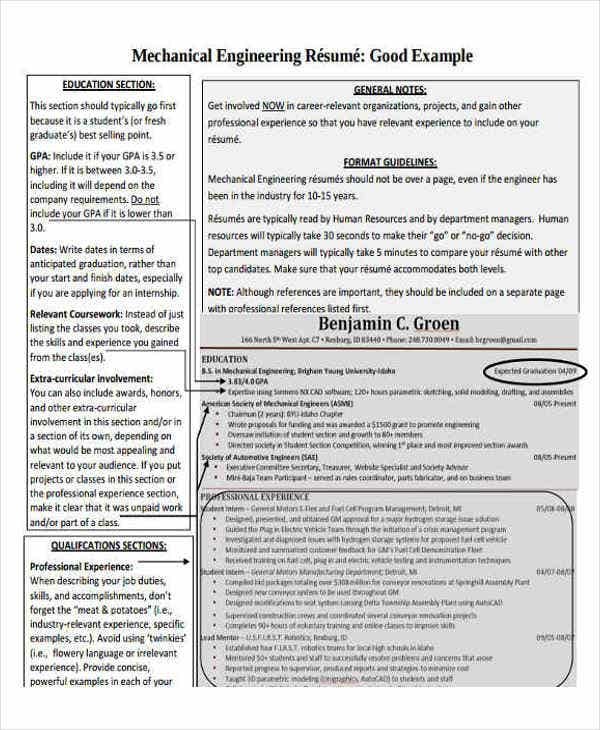 Placing Work experience in order – You will have to place your different work experiences in order for the hiring company or interviewer to know the sequence of your employment and have an easier reference when asking about the different work experiences you had. 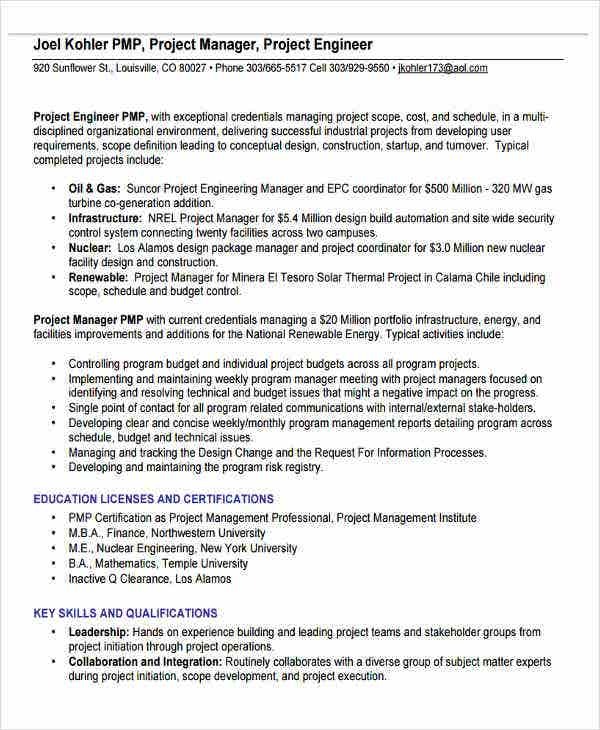 Including awards, skills, and other certifications – You should also include your different awards and certifications when applying for such roles for the reader to know more about you personally and the achievements you’ve made over time. 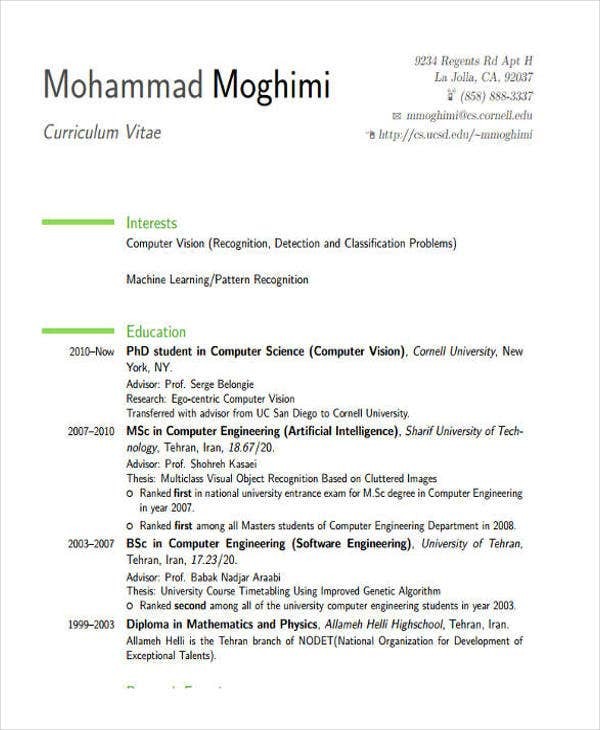 You can also search our website for different types of resume formats to know more on how to format your work. 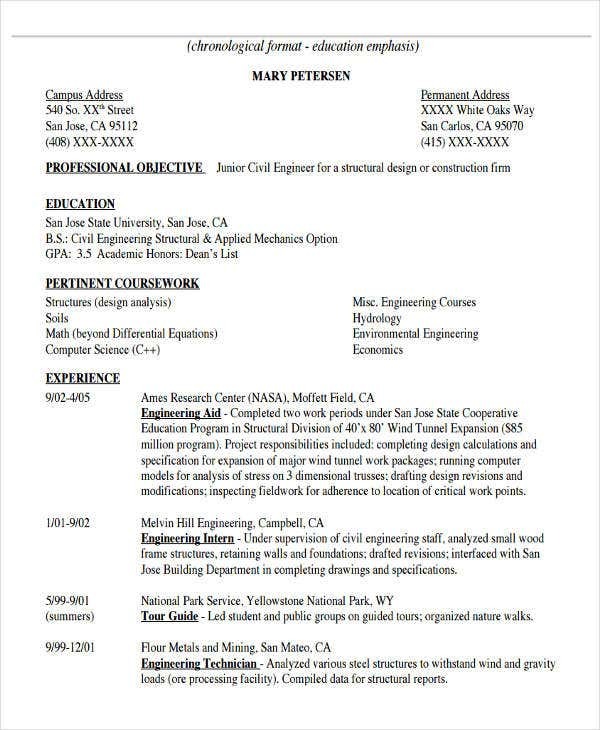 In writing an opening statement for your resume, you don’t have to be simple and concise, but at the same time making it interesting for your reader to check out. 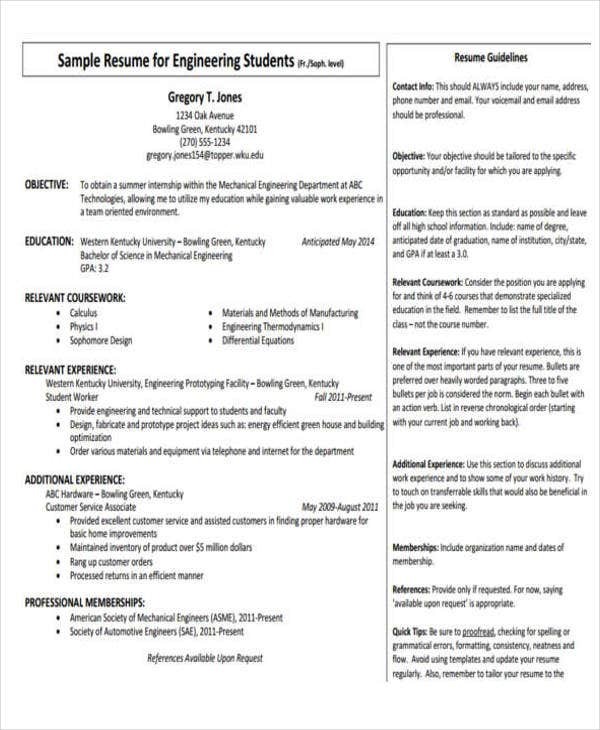 When writing opening statements, always include the reason why you want to apply for such position, specifically for this topic, which is about engineering roles. 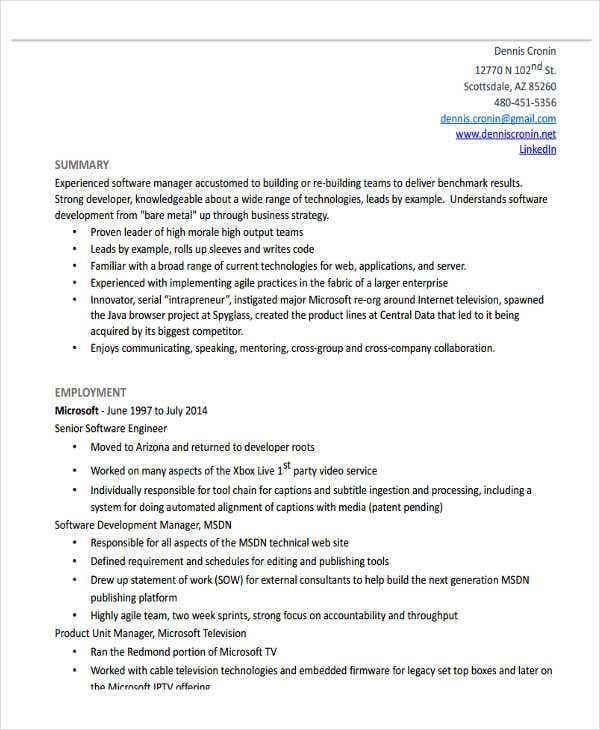 Include why you left your previous company and smart goals you plan to achieve if given the chance to be employed. 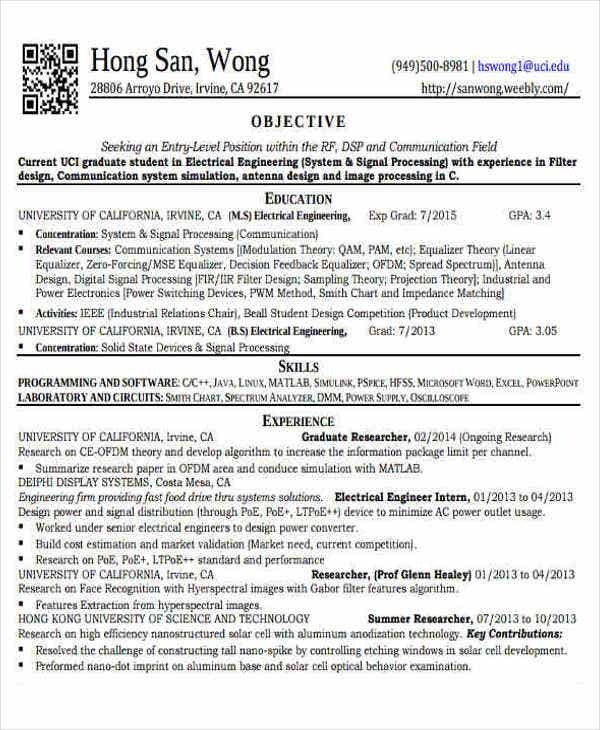 For more engineering related resumes, you can also check out our website for different types of Network Engineer Resume. 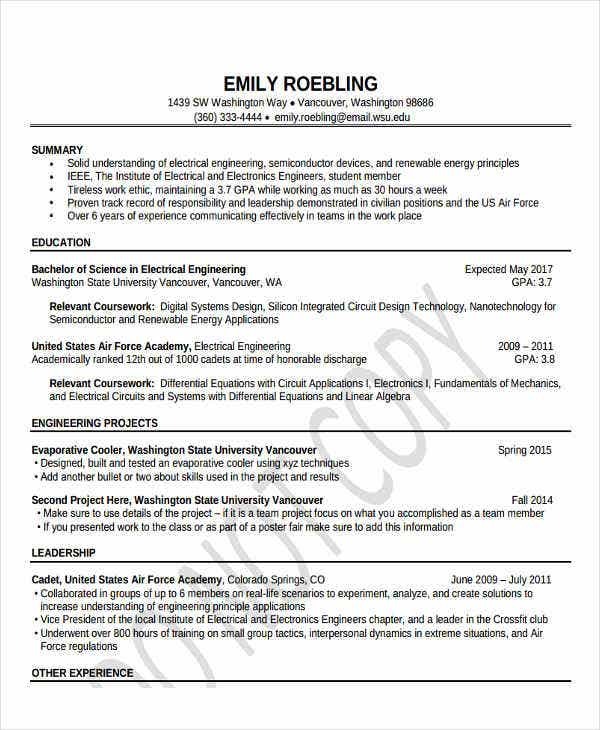 Placing Skills Not Related With The Scope of The Job – It’s good to place the different technical skills you know in your resume but you should not place skills that are not related with jobs such skills like dancing or cooking unless needed or if you would find it helpful in getting you the job. 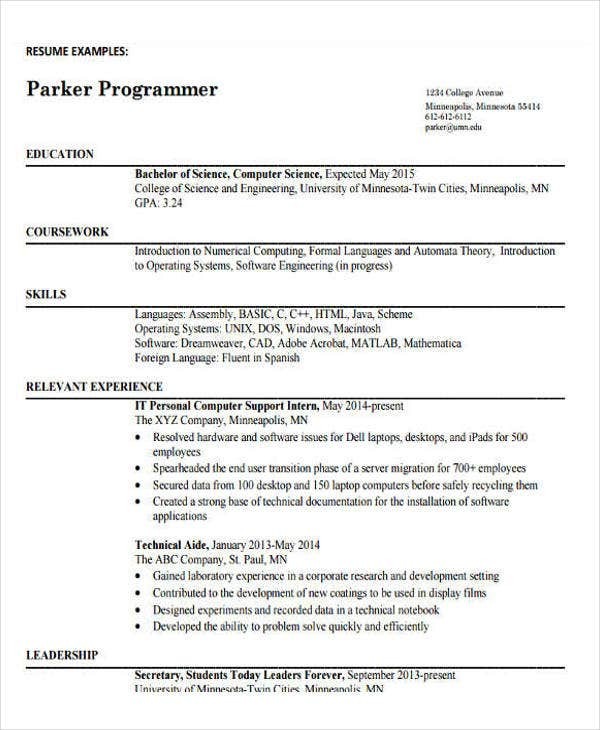 Placing Long Descriptions – Its okay to place descriptions of what you did in your previous job, but it’s never okay to place a description that is too long which makes it frustrating for the reader to take in. 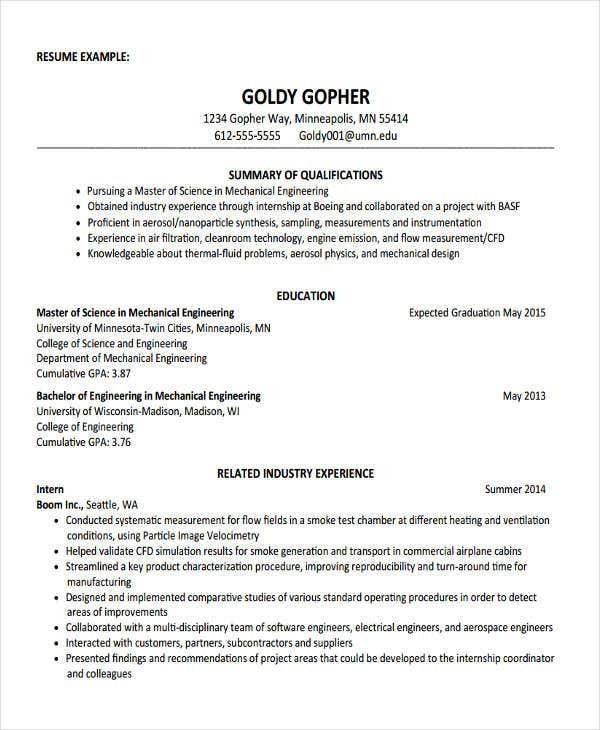 Interchanging Work Experience – Some people tend to place their different work experiences in a random order which would make it hard for the reader to understand and waste time asking questions on the order of the different job experiences. 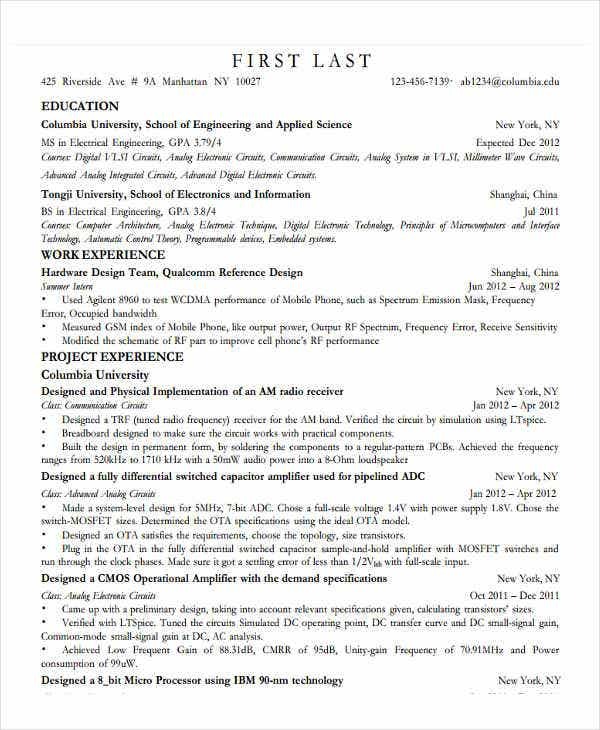 When creating your engineer resumes, one thing you will have to consider is placing a good content, creative design, simple and concise words. 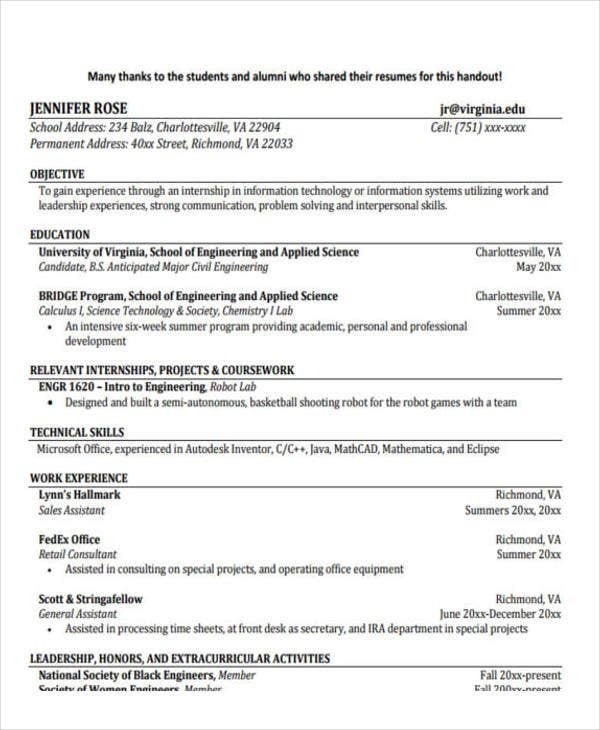 Below are three of the best ideas to place in your resume to make them look good. 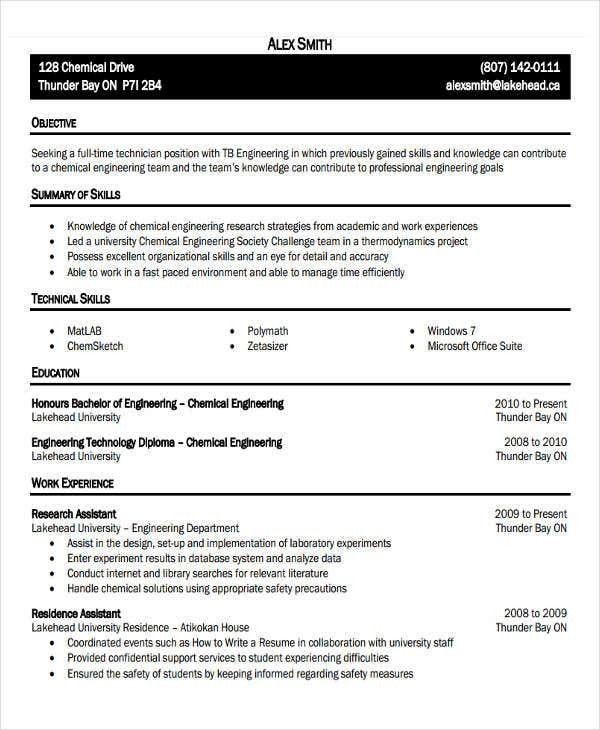 Work Experiences That Relate To the Job – Placing work experiences relating to the job you are applying for will help the interviewers scan your files more quickly. 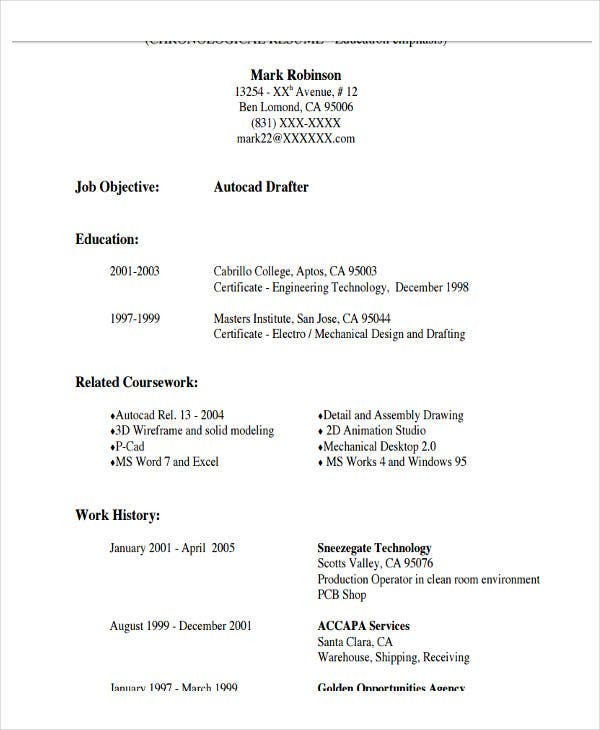 Creative Resume Designs – Creating attractive looking designs will also help your readers be interested in reading more about your details. 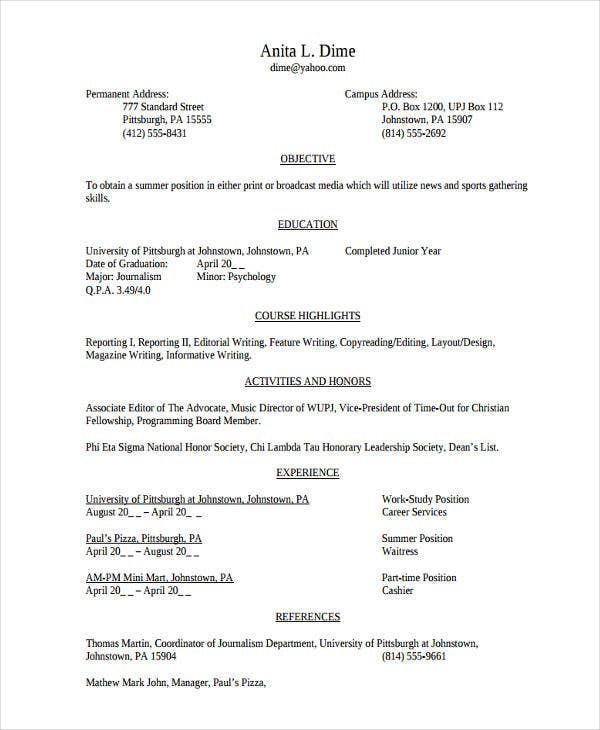 Placing Portfolios – It is also a good idea to place portfolios in your resume like including previous projects you’ve made which will make a good impression on your application. 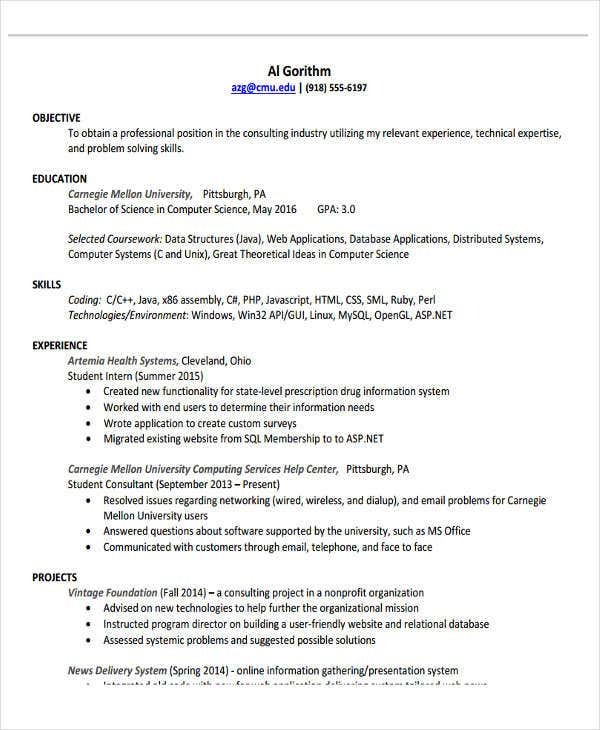 You can also check out our website if you want to search for blank resumes. 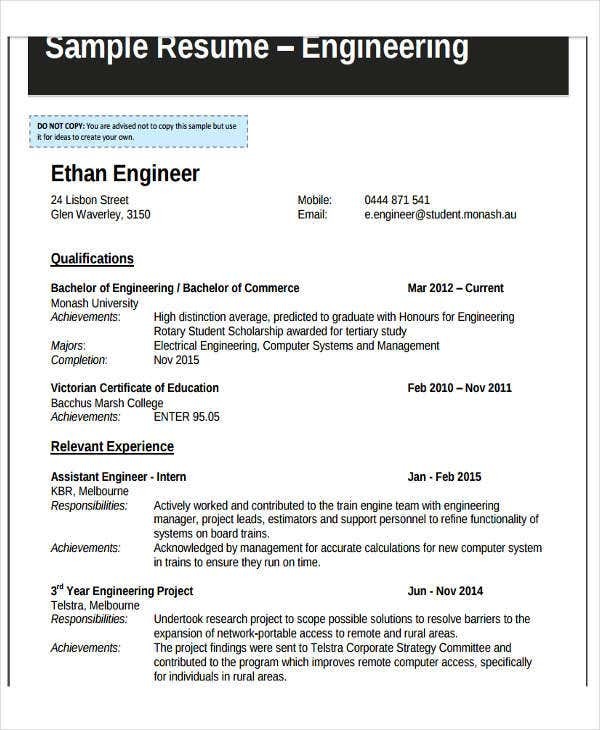 Engineering Internship Resumes – These types of templates are commonly used by engineering students applying for internships which this template covers the basics of a resume. 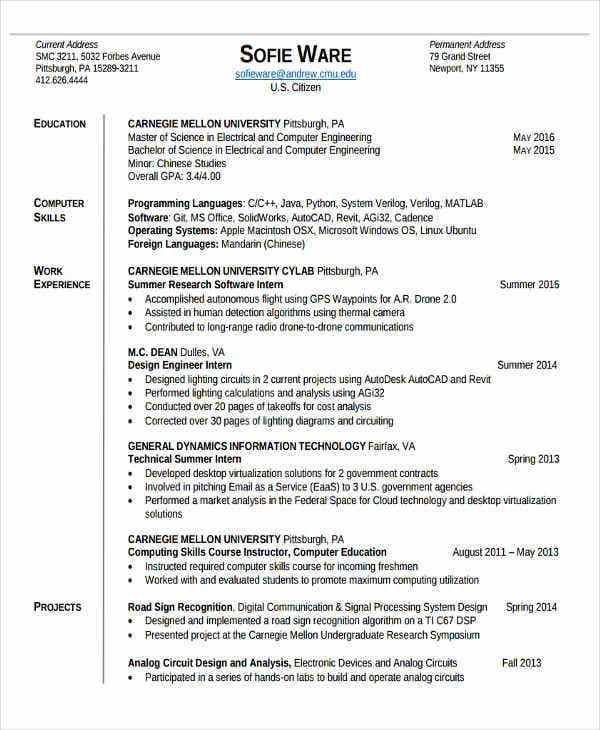 Computer Engineering Resumes – You can use these types of resumes in applying for computer engineering related jobs. 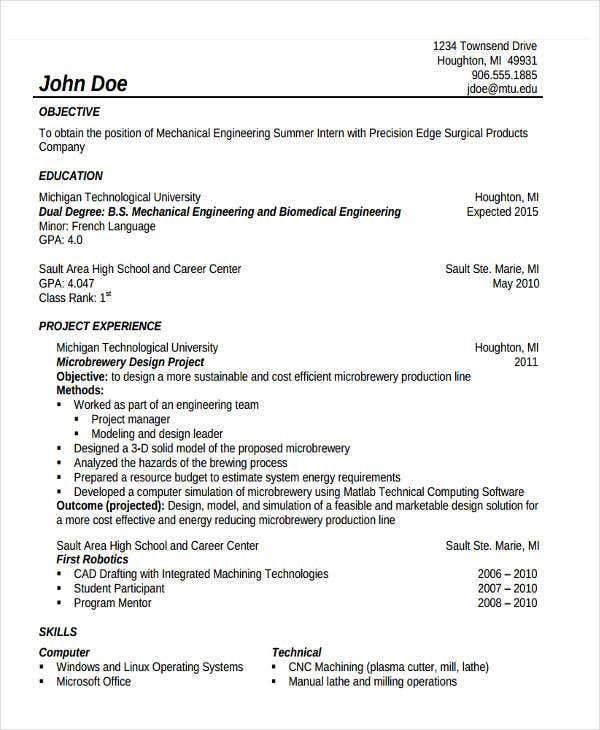 This type also covers the basics of a common resume but only more focused in engineering related roles. 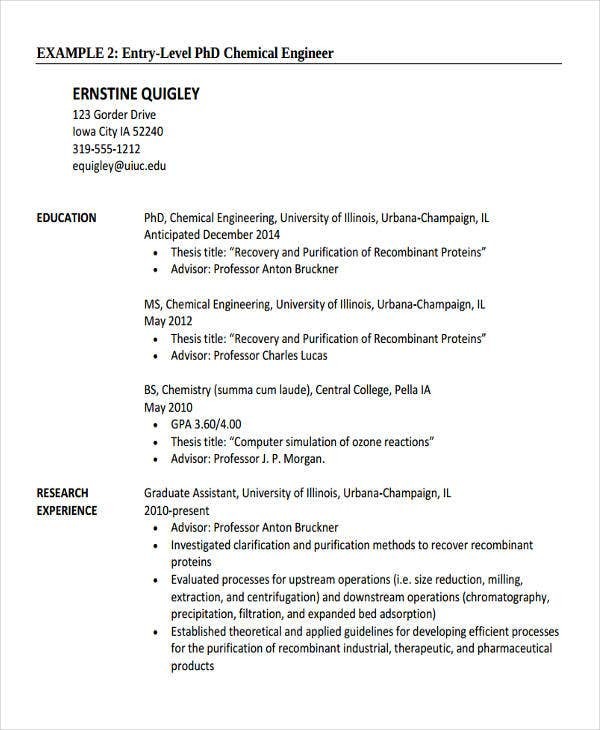 Chemical Engineering Resumes – These types of resumes are commonly used in applying for chemical engineer job positions wherein most individuals use this template to finish making their resumes quickly. 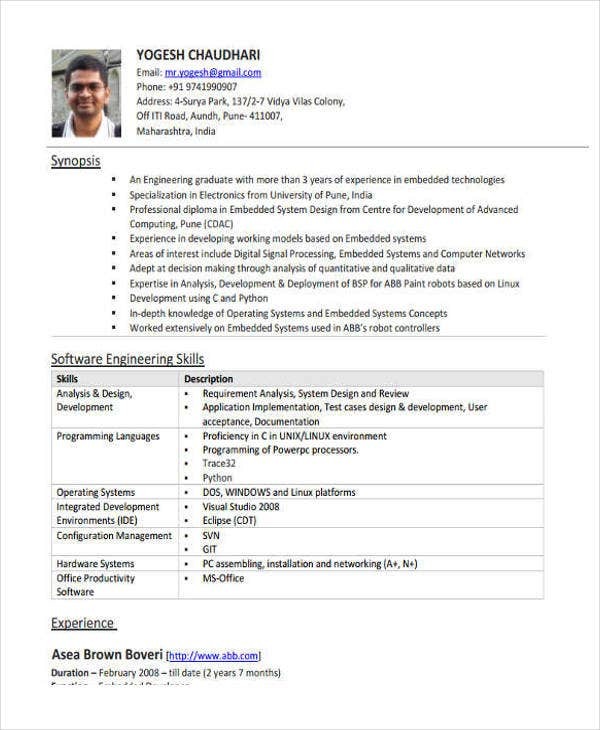 You can also check out our website if you want to search for different types of Software Engineer Resumes. 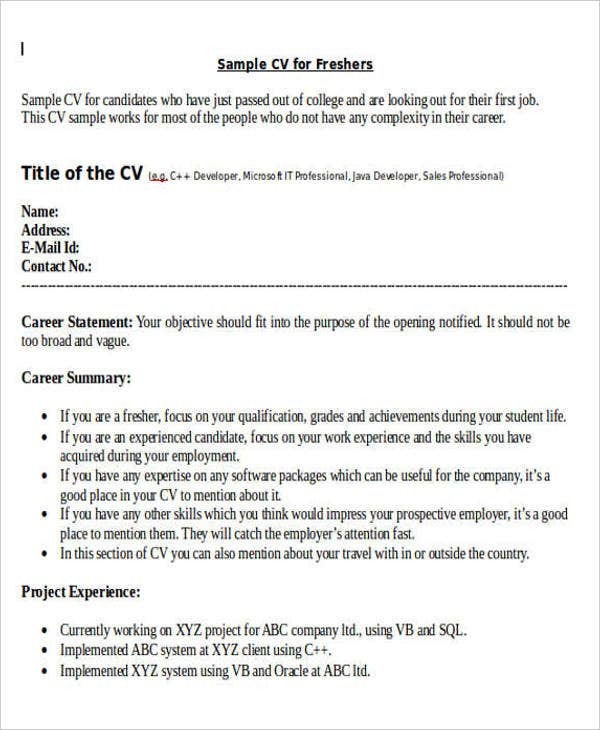 Prepare What You Need To Write – As much as possible limit what you are going to place in your resume but at the same time, place informative details or details that the interviewer or hiring company must know about you which is why you will have to prepare on what you can say about yourself and how you can include your previous job details in your resume. 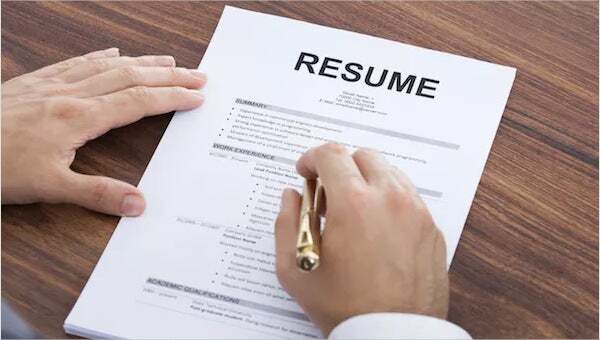 Be Simple and Concise – You will have to be simple and concise about what you are writing to avoid frustrations on the interviewer’s side on reading all the details which will delay both your time. 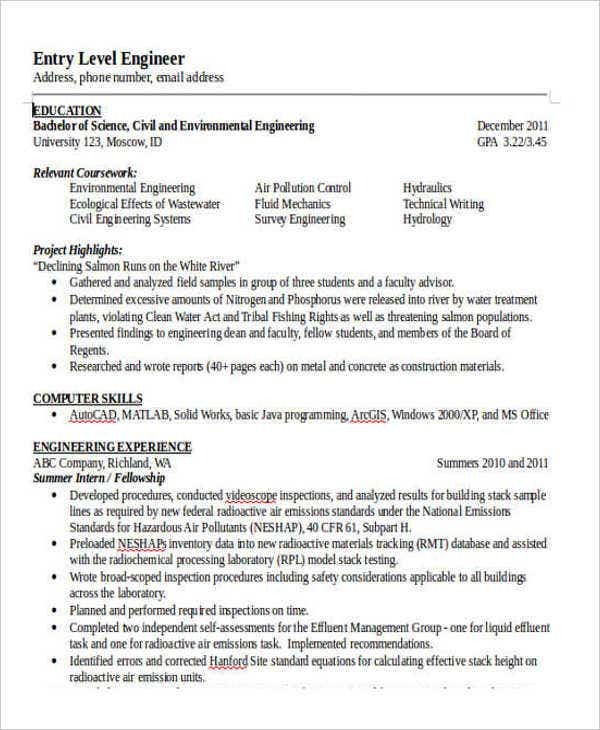 Placing too much information will also make it look informal for a resume. 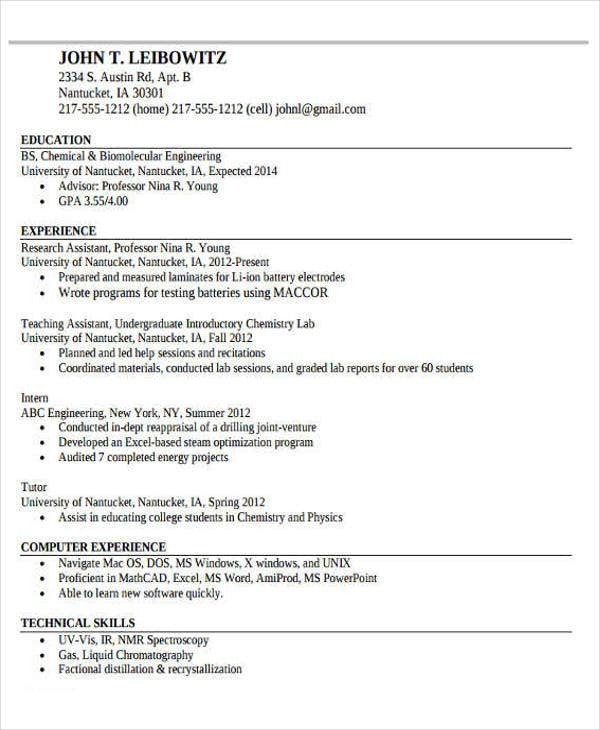 Never over complicate things by adding too many information about specific subjects n your resume. 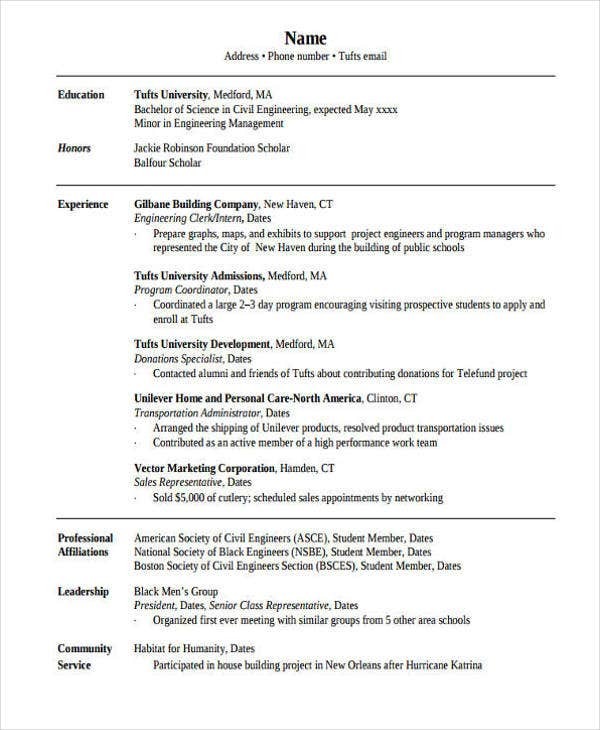 You may also see Sample Resumes. 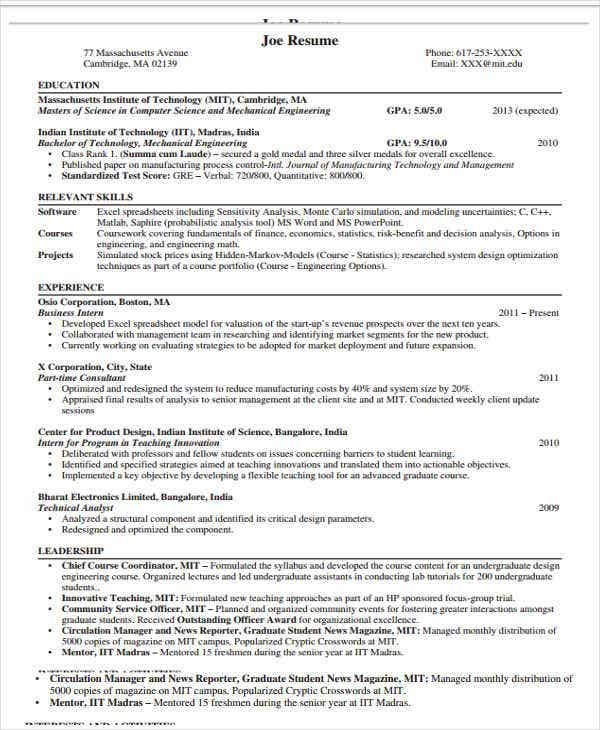 Create Attractive Looking Resumes – Making an attractive looking resume makes a good impression that you are a person who’s in to being creative however, be aware to limit your designs like applying yourself to be a minimalist on placing decorations in your resume. 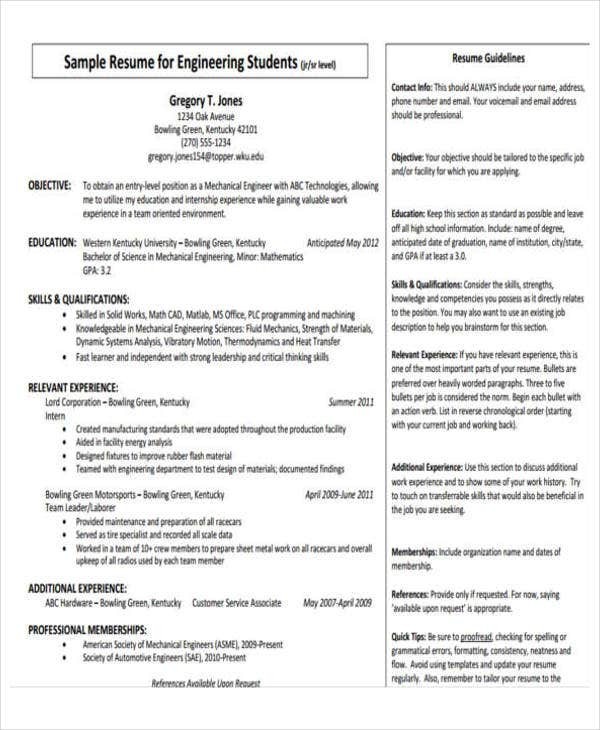 You can also check out our website if you wish to search for different types of Free Engineering Resume or Mechanical Engineering Resumes.